It’s finally summer, which means your days will be filled with swimming, poolside parties and soaking up some vitamin D.
All winter, pools are a catch-all for rotting leaves, twigs, clumps of dirt, insects, pollen and algae. 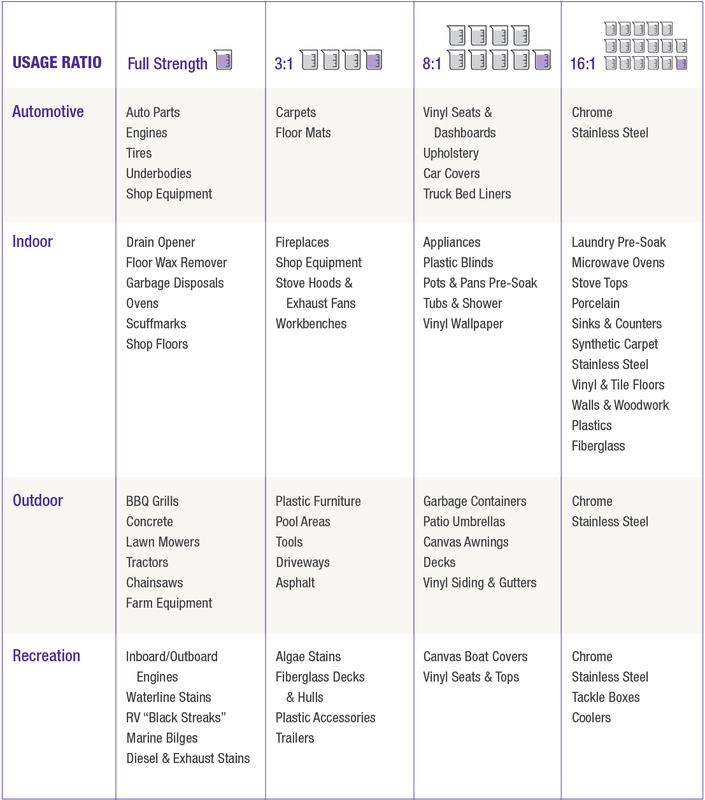 Spring clean-up can take your entire weekend when you factor in vacuuming the bottom, skimming the top, cleaning the skimmers and equipment, and scrubbing scum off the sides and deck. 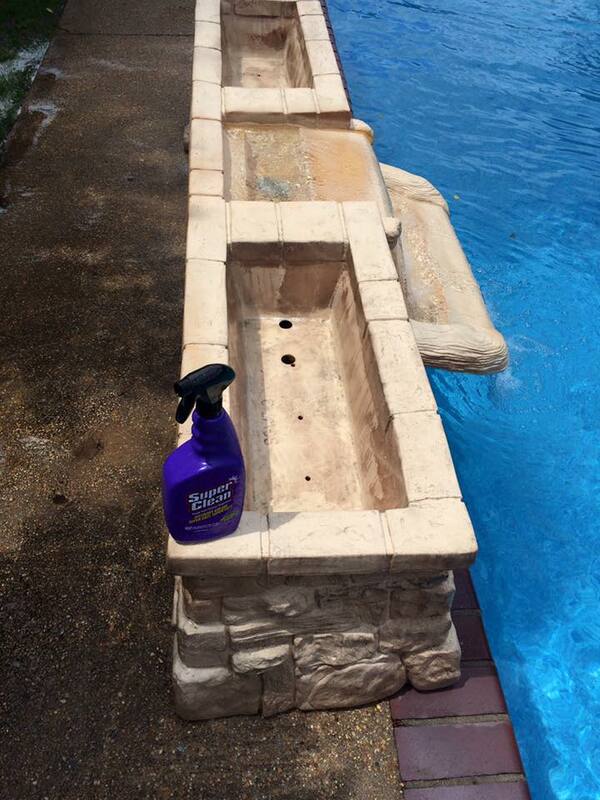 That doesn’t even include cleaning the decorations you may have around your pool area, like these pool-side planters. SuperFan Justin sprayed these planters with original SuperClean Cleaner-Degreaser and had them looking brand new in a matter of minutes. 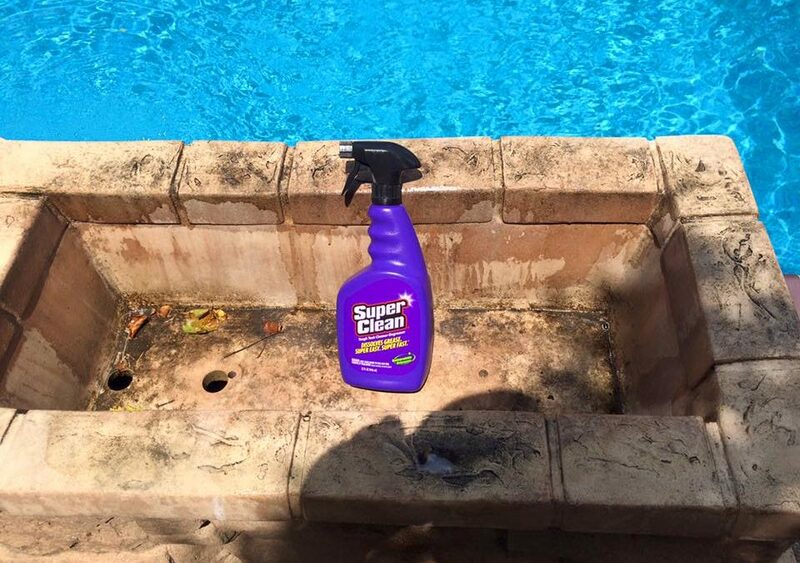 When using SuperClean around the pool area, we recommend a 3:1 ratio. 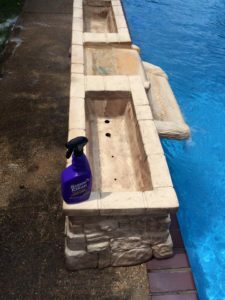 Spray on the deck, poolside furniture, umbrellas, even your pool vacuum…and watch the power of SuperClean bring them back to like-new condition. Don’t forget to clean your BBQ grill while you’re at it! Don’t spend your whole weekend cleaning the pool. Use SuperClean and get back to floating under the sun!